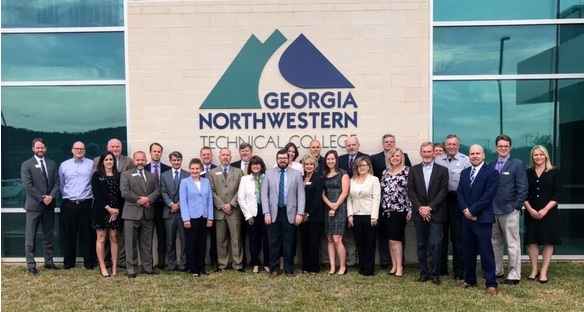 The newest division of the Department, Rural Georgia Initiatives, has one primary focus in mind: to help rural Georgia communities become more competitive for economic development projects and identify new strategies for attracting jobs and investment. Led by newly appointed deputy commissioner Amy Carter, one of the first ways this division addresses this mission is through the creation of a new event that would bring many of the state’s resources directly to the communities. RuralWorks: Rural Georgia Economic Development Roundtables were created to connect Georgia’s communities to the resources that enable economic growth. And the Centers of Innovation, Film, Music and Digital Entertainment, Georgia Council for the Arts, Global Commerce – Existing Industries and Regional Recruitment team, International Trade, Tourism, and Workforce divisions of the Georgia Department of Economic Development. Each session was designed to not only give attendees the information that each of these resources provides but to also connect them locally. Many of the agencies listed above have either offices or regional representation in nearby communities.